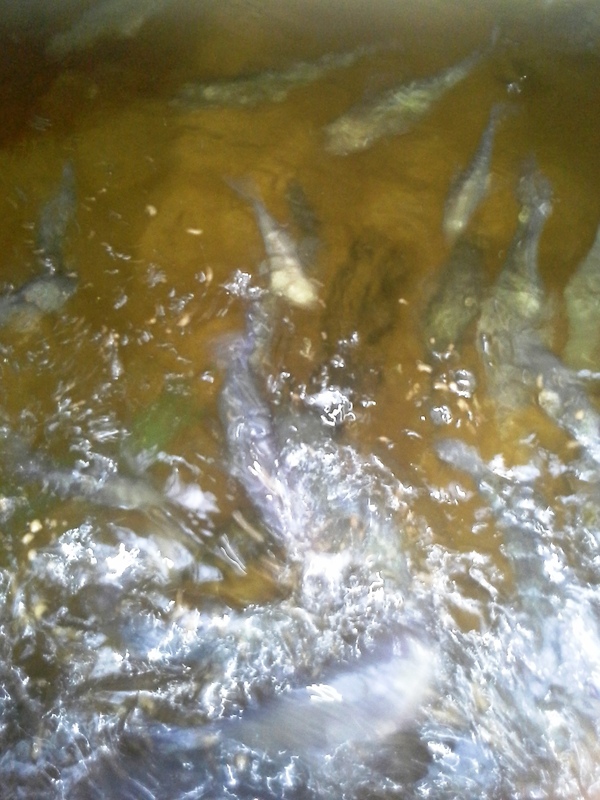 During our normal Feeding Frenzy first thing the morning, our tilapia fish think it is just another day of eat and swim. 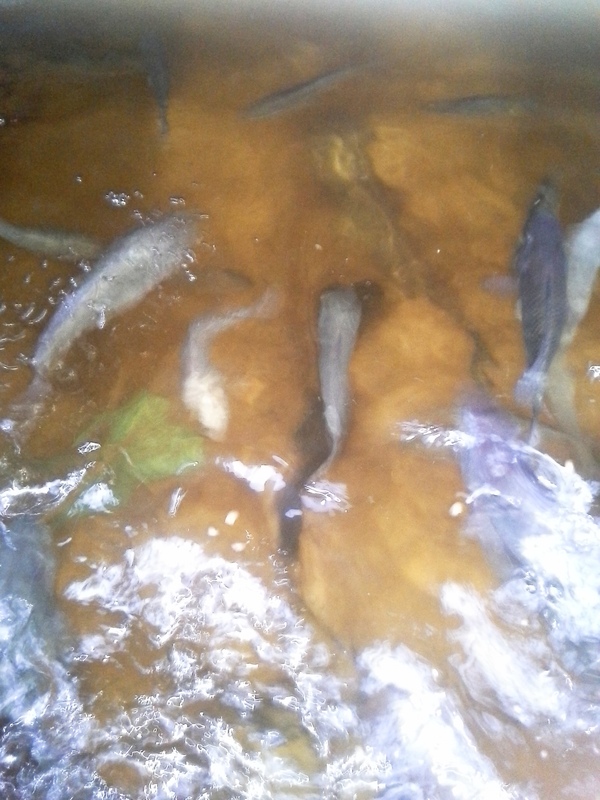 Little do they know that later today I will be moving the largest ones-3-4 pounder’s-to a clean tank. 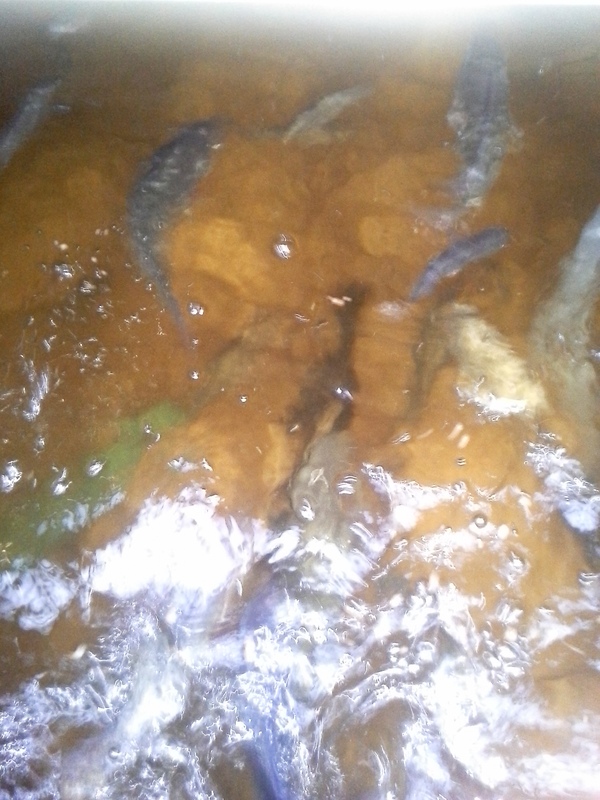 The clean tank is a holding area where the fish will stay for two to three days to clean out their systems. They will not be fed during this time, so all waste will be eliminated. 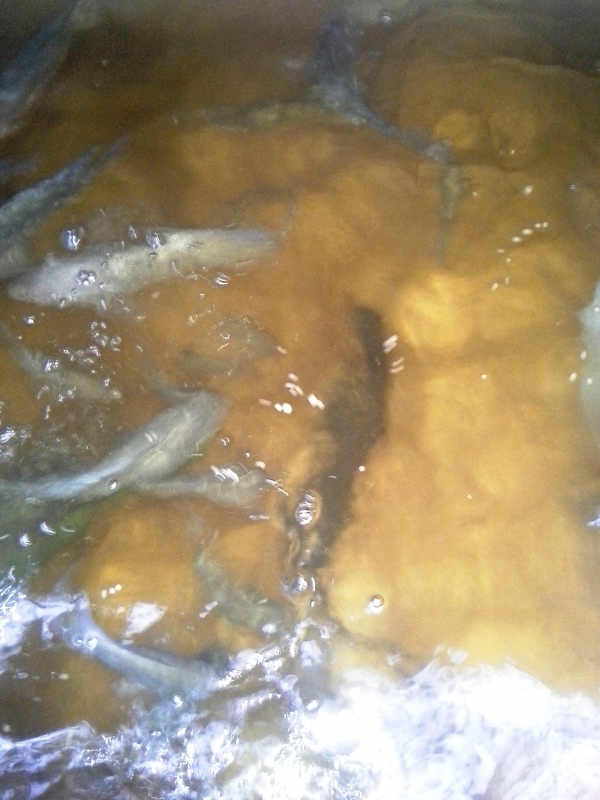 On the third day, they will be removed from the clean tank for processing. Needless to say they will be the guest’s of honor for dinner Friday night. 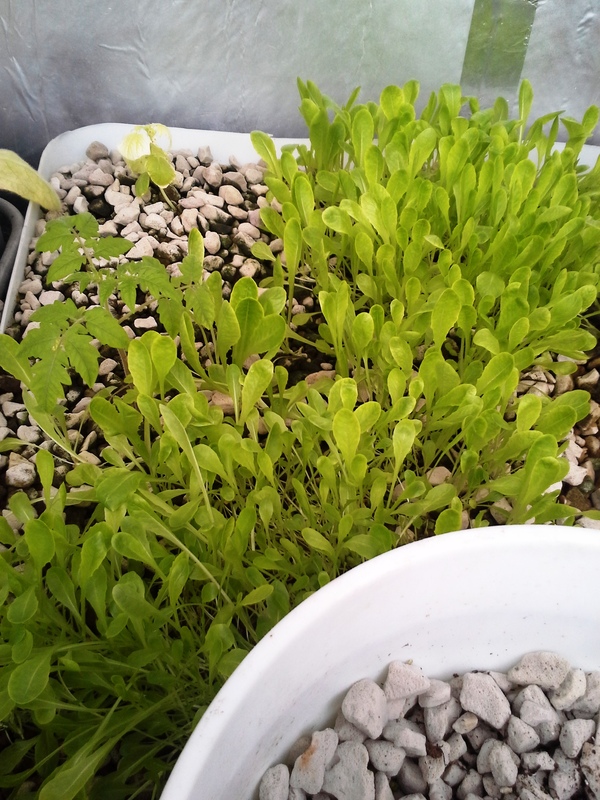 Along with the fish will be fresh salad greens: spinach, arugula, and mescaline, topped with sweet cherry tomatoes. 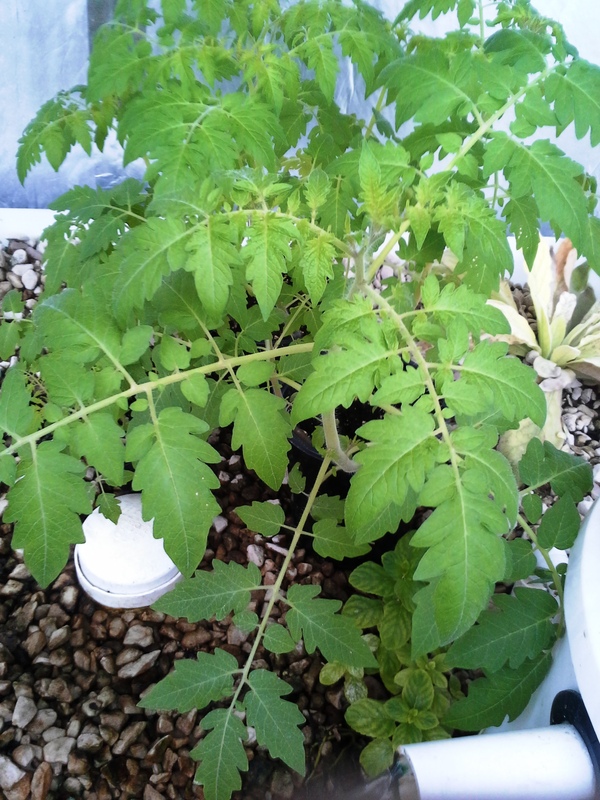 With the exception of the vegetable, which will be from our garden from last season canning, everything will be from our aquaponics in the greenhouse. Thank, Dan. You really don’t know how good tilapia can be until you have tasted fresh.